Mt. 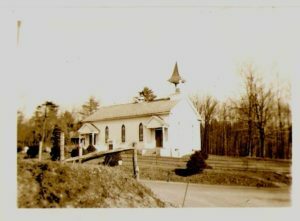 Laurel Church of God in the late 1800’s early 1900’s! 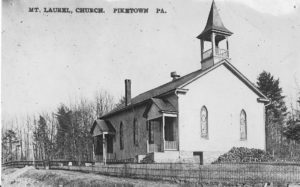 In the years prior to 1890, going to church for people who lived in the area east of Linglestown was not very easy to do. The whole family would jump into the horse drawn buggy and travel on the narrow dirt roads to make the trip to the big city. 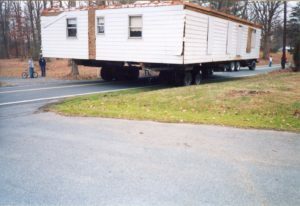 In those days, Linglestown was a long way off and it took a special kind of Christian to attempt the trip every week to attend divine services at the Church of God in that town. Elderly persons or families with very small children stayed at home, trying to duplicate services in their homes, rather than travel that long road. “Why can’t some of us worship together?” they asked one another as they met at the general store or the grain mill. 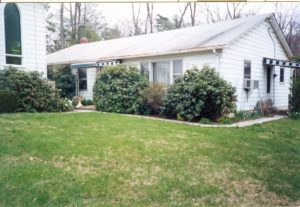 Soon some of the farm homes were opened to neighbors for worship on a Sunday morning and this served well for a time. 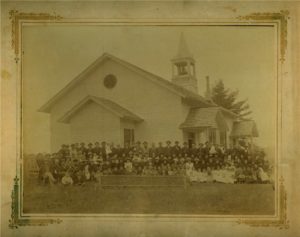 The meetings eventually got too big for the homes, so regular prayer meetings and preaching services were then held at Forney’s school on the west side of the hill for the people of this rural community. 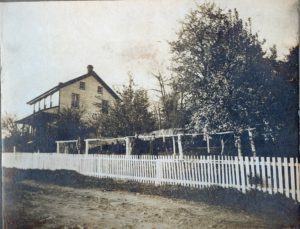 The people “over the mountain” began to attend services, so for convenience, the location was changed to a more central place, at Baumgardner’s school on the east side of the hill. In time, the congregation grew large enough and the Lord led these early believers to build a bethel on the top of the hill in Piketown. The cornerstone for the new church was laid on April 13, 1890. On August 24, 1890, the Mt. 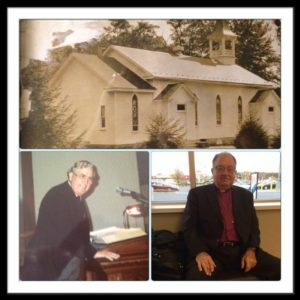 Laurel Church of God was dedicated to God and His service. The first sermon was preached by C.Y. Weidenhammer under whose leadership the church was constituted. 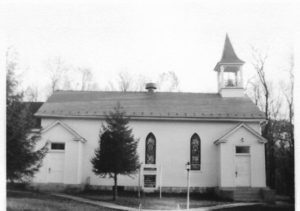 In the earliest days, the church was on the old Dauphin Circuit and shared its minister with the Linglestown Church of God and the Shope’s Bethel Church of God. The first pastor of the congregation was Rev. C. C. Bartels who served as the minister for three years. 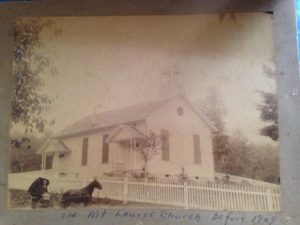 On September 27, 1910, tragedy struck the church when it was hit by a lightening bolt and destroyed by fire. 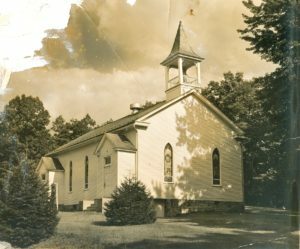 With the help of the Lord and His dedicated people, the new bethel was rebuilt and dedicated on June 4, 1911. Because our congregation has changed from a strictly local one to people who come to Mt. Laurel from many miles around, there have been many changes to the little wooden church first built on this mountaintop. At the beginning, the rest rooms were outside, away from the building, and a pile of wood for heating the building was part of the décor. After the basement under the sanctuary was dug out by hand, by the men of the church, access to this “new part” was through a trapdoor at the rear of what is now the sanctuary. The church was widened and lengthened, inside bathrooms were added, and a baptismal pool was installed; which eliminated the need for baptisms to be held in other churches or even in swimming pools. 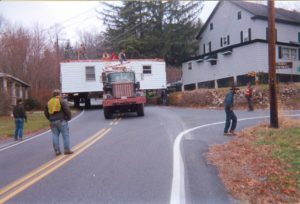 A new parsonage was built in the 1960s and occupied from 1962 until 2001, when it was moved from the south side of the church to a lot on the west side of Mt. Laurel Community Park. This was necessary because of the expansion of the church as it is today. The years ahead promise to be exciting for us. The opportunity to reach more people for Jesus with His “Good News” of salvation is within our reach. The challenge is great, but certainly it is not greater than our Lord and Savior Jesus Christ, who has led us from a small local one-room church to the wonderful new facility you are visiting today. We have room for you, your children and grandchildren and we welcome you with open arms. Mt. Laurel is full of history and amazing stories and we are excited to share all the amazing things God has/had and continue doing for our little Country Church on top of the mountain! 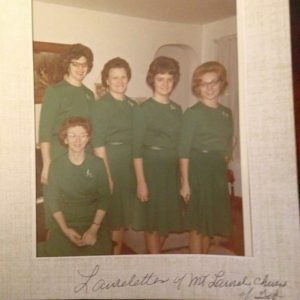 Here is a photo from the 1960’s! Mt. 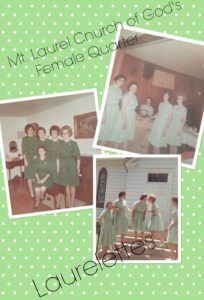 Laurel’s very own Laurelettes! 1898-1904 Reverend J.F. Fleegal 1934-1938 Reverend H.E. Wagner, Jr.
During 1943 thru 1945, our 14th Pastor was Rev. Preston Lucas (& his family). As of March 2016 and 71 years later it is very exciting for us to have (Pastor Preston’s son) Dr. Thomas Lucas (& his wife Judy) as our 19th (interim) Pastor!